Plastic and reconstructive surgery doctor Giedrė Stundžaitė-Baršauskienė has been working at VitkusClinic since 2015. The surgeon specializes in plastic reconstructive and aesthetic surgery. Attention to the patient, thoroughness and responsibility are the main characteristics, which describe the work of the doctor. For more than 10 years Doctor Giedrė successfully helps the patients to discover their inner harmony, highlighting the natural beauty of a person. 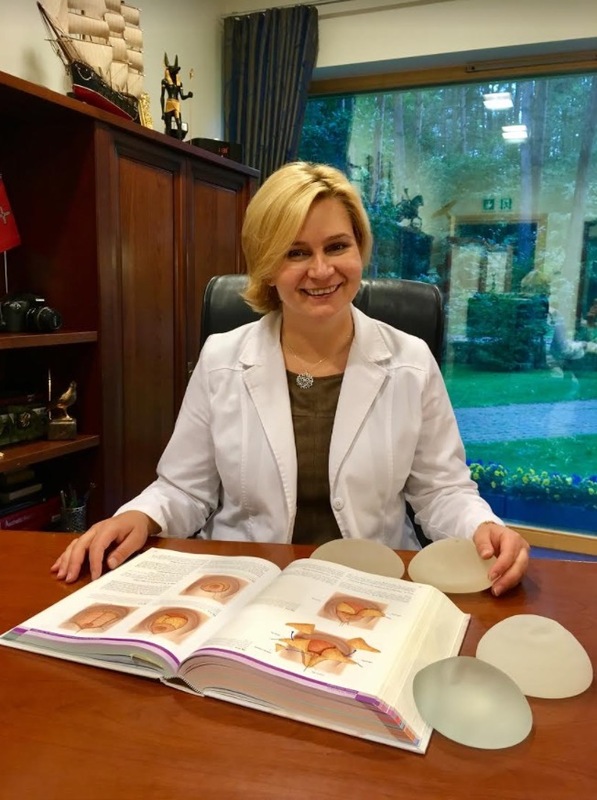 Plastic and reconstructive surgery doctor Giedrė Stundžaitė-Baršauskienė graduated from Vilnius University, Faculty of Medicine in 2001 and in 2002 she completed the residency studies of the primary care doctor. In 2002 - 2004 she performed residency of general surgery, after that doctor occupied a position of a doctor-assistant at the Vilnius Emergency Hospital, Department of Immediate Abdominal Surgery. In 2007 doctor Giedrė Stundžaitė-Baršauskienė completed the residency studies of plastic and reconstructive surgery and obtained a license for plastic and reconstructive surgery. Since 2007 doctor Giedrė Stundžaitė-Baršauskienė has been working at Vilnius University Hospital Santaros Klinikos, the Department of Plastic and Reconstructive Surgery. In order to keep pace with the innovations in surgery, doctor continuously deepens her knowledge and practice, participates in various international scientific and practical conferences, congresses, seminars, reads scientific reports. She practises not only in Europe but also in world-famous plastic surgery centres in Germany, Italy, Holland and USA. In 2008 she also visited the Los Angeles clinic “Beverly Hills Aesthetics non-surgical clinic” and the Department of Plastic and Reconstructive Surgery in Paris at Saint-Louis Hospital. In 2010 she deepened her knowledge in the Department of Plastic and Reconstructive Surgery at the Helios Emil von Behring Clinic in Berlin. Plastic and reconstructive surgery doctor Giedrė Stundžaitė - Baršauskienė works with world-famous fillers Juvederm, performs botulinum toxin treatments with Dysport and Vistabel. Since 2016 doctor Giedrė Stundžaitė-Baršauskienė is a certified Allergan trainer and instructor. Also doctor is a trainee of the Lithuanian hand surgery and rehabilitation society “Manus Lithuanica”. After work doctor Giedrė likes to rest with her beloved family. The most enjoyable winter pleasure for her and her family is skiing, also she often goes on an unforgettable trips.